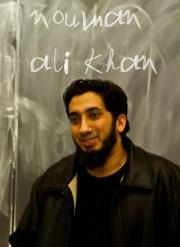 Download Video of any lecture of Brother Nouman Ali Khan. Lectures are always being uploaded. Keep in touch via Facebook. Twitter, and YouTube. 76. When Muslims Work together - 1- Introduction - What Motivates Us? 49. Why Aren't you Grateful? 40. Why And How to Give Advice? 30. Who Are the People Of Taqwa? 16. Are you Living a Dream? Isn't it Time that you Woke Up? 13. Our Legacy for the Next Generation: Doubt? 4. Do you intend to Question the Messenger? 3. Why Should I Believe in God? 1. When Will you Submit? Worshipper or Slave of God? 7: Quran Linguistic Miracle: Madina Or Yathrib? 3. Quran Gem : Hearts in Man Vs Woman ? Part 2: The Denial & The Warning!